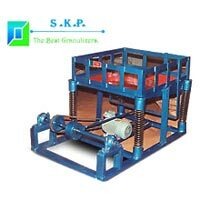 Our company is among the leading Manufacturers, Exporters and Suppliers of compactly designed Sieving Machines. We are engaged in bringing forth different kinds of Sieving Machines such as Vibrating Sieve Machine, Eccentric Sieve Machine and Rotary Sieve Machine. Sieving Machines, available with us, are fabricated perfectly using the best quality raw materials. The Sieving Machines are known for offering reliable and smooth performance. 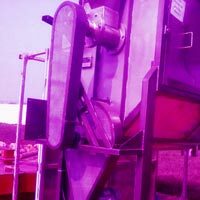 Clients can avail Sieving Machines from us at very reasonable rates. The Vibrating Sieve Machine, offered by us, is the best Vibrating Screen or Vibrating Sieve suitable for dry screening. The Vibrating Sieve Machine comprises of eccentric bock, screen web, rub spring, mainframe, electric motor, coupler, etc. The Vibrating Sieve Machine is widely demanded in chemical and pharmaceutical industries. We are a Manufacturer, Exporter and Supplier of Rotary Sieve Machine. 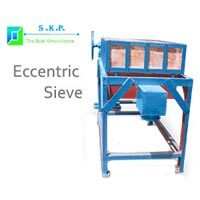 The Rotary Sieve Machine has multiple sieve or single sieve. The offered Rotary Sieve Machine is very popular in food industry. 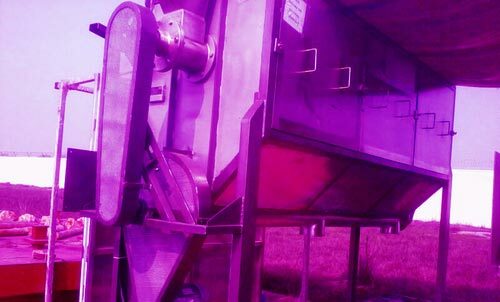 The Rotary Sieve Machine is known for ensuring rejection of several varieties from a single bulk of material.